The surface-area of the island is 807.8 km2 and is therefore 2.1 times greater than the island Isle of Wight. 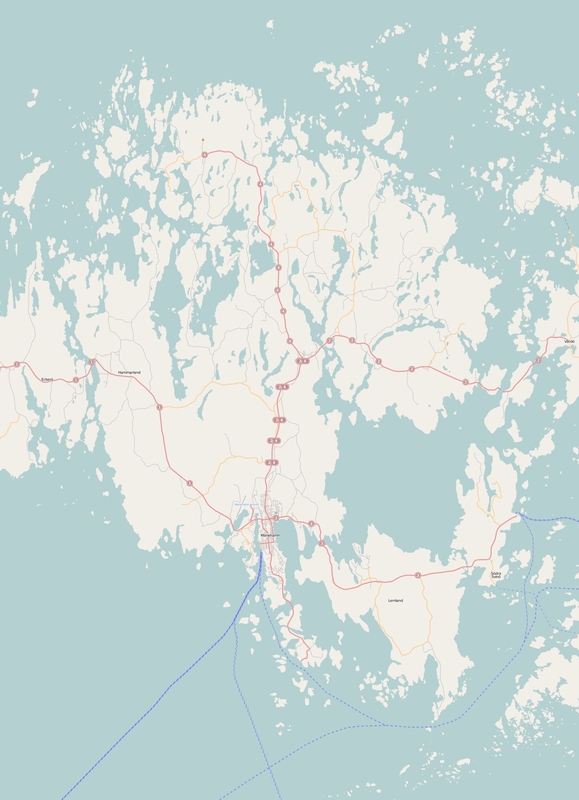 The island lies in the Gulf of Bothnia and the total coastal length is about 849.2 km and the dimensions of the island are approximately 60 km by 40 km (maximum width). The island is West-northwest - South-southeast oriented. The highest point is 129 meter and is named Orrdals klint 129 meter. The coordinates (latitude, longitude) of the island (center) for GPS are 60.26 (60°1'32.0736), 19.94 (19°56'24.5076).